When the weather is not agreeable, when you want more control over your training, or when you simply want to vary your workout, treadmill running is an effective alternative to running outdoors. With many treadmills offering advanced computer technology and media entertainment integration, you might find it easier than ever to exercise on a treadmill for an extended period of time. The amount of time you should run on a treadmill, however, really depends on your fitness goals. 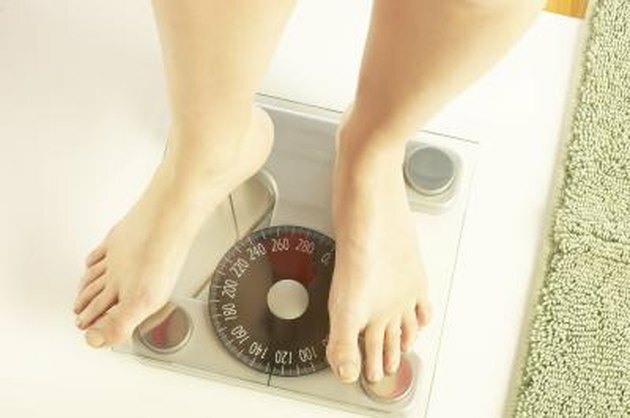 When combined with healthy eating and strength training, running on a treadmill can help you lose weight and maintain your weight loss. If you are a beginner with little experience running, start out by running at a slow comfortable pace for 15 minutes, three days a week. You may even need to run a minute and walk a minute until you are able to run the full 15 minutes. Slowly increase the amount of time you are running on a treadmill to 30 minutes four days a week to maintain your healthy weight. If you want to improve your overall level of fitness, you need to exercise at a level of moderate to vigorous intensity. 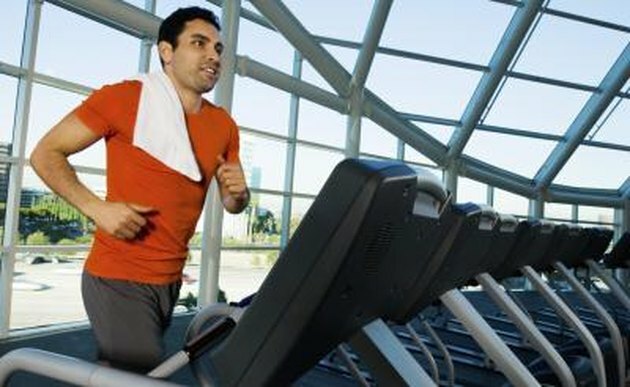 Pay attention to how long you are running on the treadmill, as well as how intensely you are running. 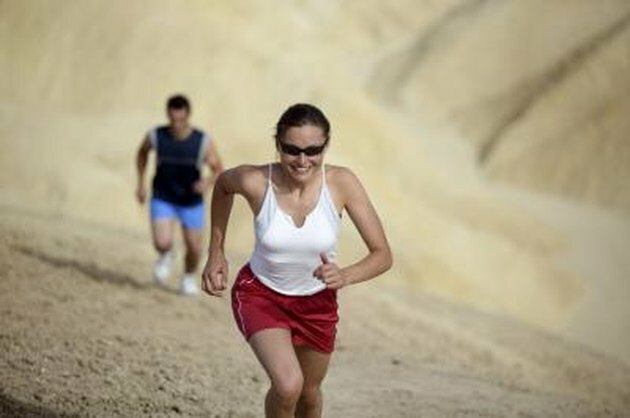 Run for 150 minutes each week at a moderate level of intensity or 75 minutes each week at a vigorous intensity level. Use a heart-rate monitor to better assess your intensity level. As your level of fitness improves, combine moderate and vigorous treadmill training throughout the week. You can find a nearby road race to run almost every weekend. The shorter 5K or 3.1-mile distances are the most common. 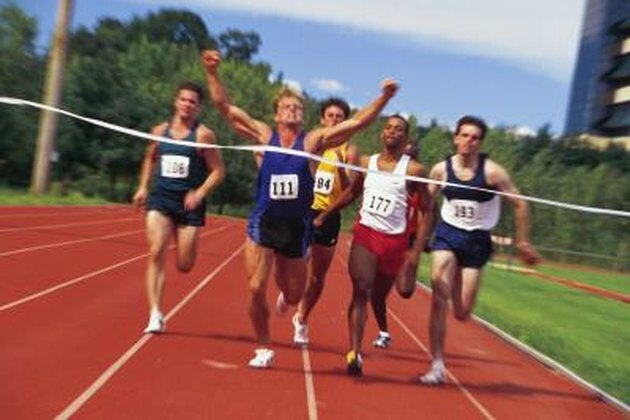 If you are training for a flat 5K race, determine a finishing-time goal. If you are currently running at a nine-minute-per-mile pace, for example, a reasonable 5K goal might be 27 minutes. During the weeks leading to your 5K road race, run 2 1/2 to 5 five miles per training session at paces slightly slower, slightly faster and right at your goal pace depending on your training goals for the day. This translates to running anywhere from 23 to 50 minutes on the treadmill. When you are training for longer distances, run longer periods of time on the treadmill. If you expect to finish an upcoming half marathon in an hour and a half, prepare on the treadmill by running this amount of time weeks before the race. If you know that the race will be hilly, add a degree of incline to your treadmill runs. Moving uphill may add minutes to your training time on the treadmill, but it will make you faster, stronger and better prepared for your long, hilly race.